Auto repair blogger. Come see me and Skype with a mechanic! Driving a motor vehicle in the United States is a fact of every day life for almost all of us. We depend on our vehicles to get us to work and home, take our kids to practice, go on vacation and everything in between. When you use a machine as much as we all use our vehicles, it's going to break eventually. Americans as a whole, put a tremendous strain on these incredible pieces of technology, and we expect them to deliver perfect results every time. That's a fantastic idea in principle, but it's just not going to happen. We're all going to experience a mechanical breakdown at some point or another -- usually when we can least afford it and when we have the least amount of time, patience and energy to deal with it. The older your vehicle gets, the more likely it is to need major repairs. The average age of vehicles continues to increase, with passenger cars increasing from 8.9 years (1998) to 11 years (2010). Light Trucks increased from 7.4 years to 10.1 years in the same time period (AAIA Aftermarket Fact Book 2012). One thing you can count on, when you need to have repairs done, it's most likely not going to be as cheap as you'd like it to be. 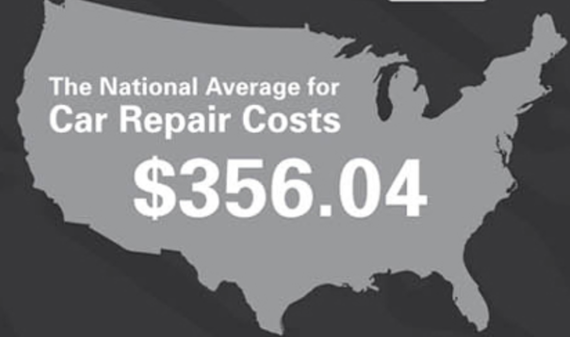 This number is an average for all auto repairs done in the country. This includes everything from an oil change to a transmission overhaul. It also takes into account that in 2014 there are 246.9 million registered vehicles in the united states (U.S. Vehicle Registration Statistics Database), and that labor rates can vary dramatically from one region to the next. 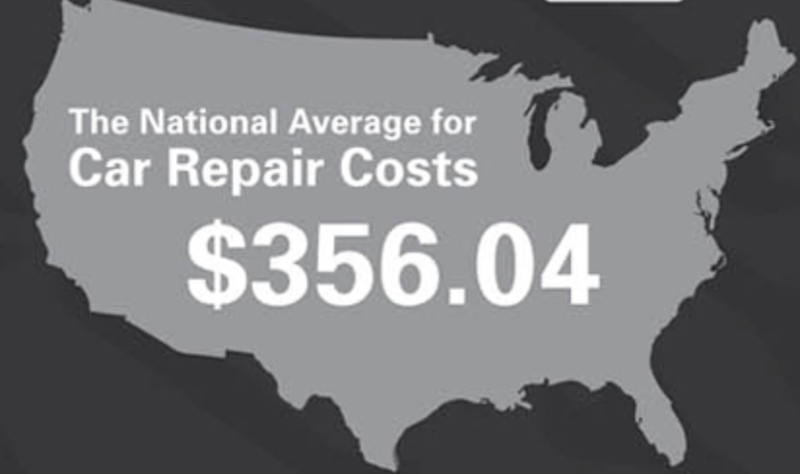 So, with these factors taken into consideration, most likely, when you head to your local repair shop, you're looking at a cost of $350 per visit. That's not exactly small change, and it can easily be more. No one likes to throw money away, and no one wants to spend money on something they don't really need. The question is, how do you know what you do and don't need, when you get an estimate from your mechanic? The answer for most people is they don't. They don't understand most, or any, of the estimate they get for the repairs they need to have done. Your estimate for needed repairs and recommended maintenance can very easily read like a technical school manual. It requires a good amount of prior knowledge about general auto repair, and specifically the system that you need to have repaired, to be able to fully understand the estimate you've been given. I'd like to make an important note here: There are plenty of good, honest mechanics and repair shops out there. They'll be more than happy to explain everything on your estimate to you, why you need it, what the most important repair is, and what can wait for a while. Every year 60+ billion dollars in vehicle maintenance goes unperformed (AAIA Aftermarket Fact Book 2012). Preventative maintenance is one of the best ways to help avoid more expensive repairs on an aging vehicle. With that being said, it's just plain good sense to verify for yourself, that you actually need what you've been told your vehicle needs. One way to help you avoid any needless repairs or maintenance, is to shop around. Take your vehicle to a few different repair shops (three is a good number), and get an estimate from all of them. If they all say the same thing and the prices are within the same range, you can feel confident that you're getting the service you need. There are two major drawbacks to that plan of action though. First, if your vehicle needs anything other than a minor repair or basic maintenance, you'll be paying a diagnostic fee at all the repair shops you visit. The shop you take your vehicle to absolutely deserves the diagnostic fee they charge. The systems of your vehicle can be very complicated to diagnose, and no one wants to work for free. Second, if your vehicle doesn't move, you'll be paying a towing fee on top of the diagnostic fee. If that's the case, it's just not practical to shop your repairs around. Another tool to help you, is to look online. If you Google "auto repair estimate" you will find there are a few websites that have estimators. They don't cover all repairs, and they can't tell you if the repair you're having done correlates to the problem you're experiencing, but they will help you get a better idea of a fair price for the repair you list in their query system.They also can't tell you if all of the maintenance items listed on a given estimate, are actually needed repairs, just give a decent guideline for what you should be charged, for that maintenance. An important note about this: the repair estimator for some of the major parts distributors will list all of the parts they want you to replace for a given repair. You may not need all of the parts they have listed. There is also a new way to help you verify what repairs your vehicle needs. There is a place to go online and submit your mechanical estimate for review by an experienced, professional technician. You can tell them what type of problem you're having, and upload your estimate. It should be noted that there is a $10 fee for this service, but it can literally save you hundreds of dollars on your repairs. It's really that easy. They aren't financially invested in the repair of your vehicle, so they have nothing to gain by trying to convince you to buy repairs that may not be completely necessary. You can check it out for yourself here. It can save you a ton of time, potential towing fees, and investigation when trying to shop around your auto repair estimate. The more knowledge you have to arm yourself with, the more accurately you can make a decision on when and where to spend your hard earned money. You can't ask for more than that when it comes to what repairs your vehicle actually needs. Car dealerships are one place where price negotiations are expected. While sales staff like to focus on monthly payments, it's smarter to negotiate the overall price, <a href="http://moneyland.time.com/2012/08/13/12-things-you-should-always-haggle-over/#1-cars" target="_hplink">according to <em>Time</em></a>. If you're buying a used car, always be sure to look up the vehicle's actual Blue Book value. Have the car inspected and haggle for a lower price if it needs servicing.